The Flyknit Chukka is introduced over a Lunar90 tooling for one of the most interesting hybrids we've seen in recent time. The nicely executed hybrid by the Swoosh utilizes a chukka-styled Flyknit upper in blue, while the all new Lunar90 tooling sits below in white. Grey laces match the grey Swoosh logos, while the heel Air unit is filled with blue. 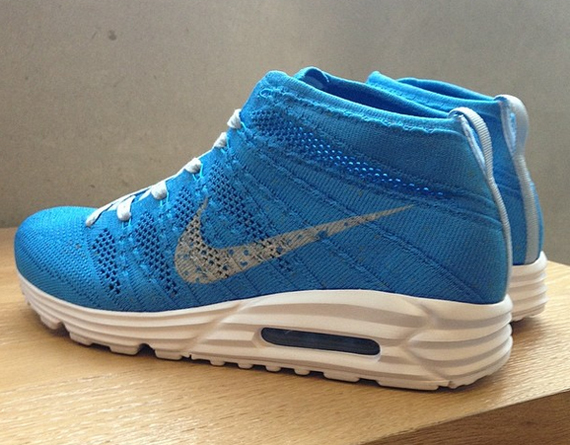 What are your thoughts on the previously unseen Flyknit Chukka x Air Max Lunar90?